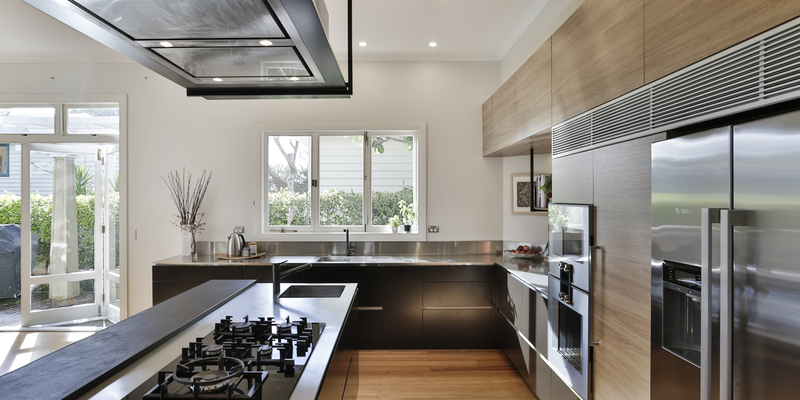 Kitchens By Design | Kitchen Design for Discerning Clients : Takapuna. 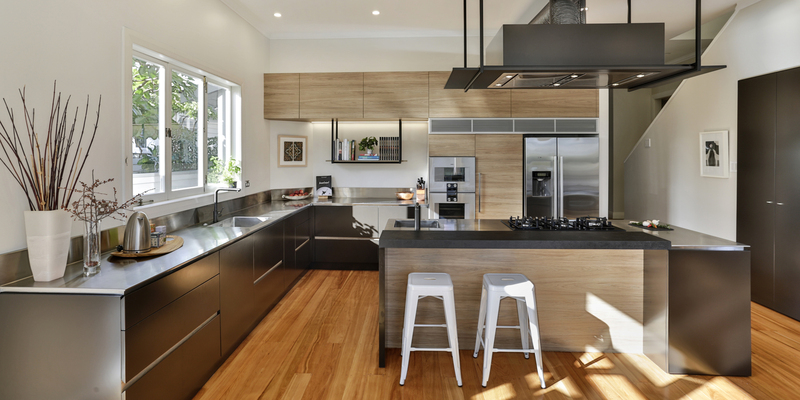 This is a kitchen for a busy family who love to cook and entertain a lot. The room it sits in is large and light filled, and also includes the main dining space for the home. On the central island a prep sink was requested, along with space for a 900mm-wide gas hob that faced the dining area and views out to the garden. The existing fridge was too small, so space for a large family sized was needed, along with the option for a new steam oven. 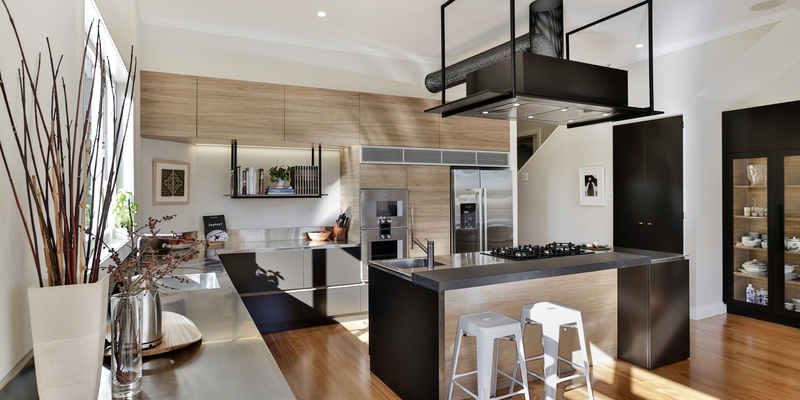 A custom-designed rangehood, with powder-coated mesh ducting, hangs over the island, providing a bold statement, and giving a soft industrial feel to the kitchen. This suspended look was duplicated along the back wall with a shelf for the clients’ cookbooks. All working surfaces are in stainless steel, wrapped around a thin edge detail to form a seamless negative detail around the entire kitchen. 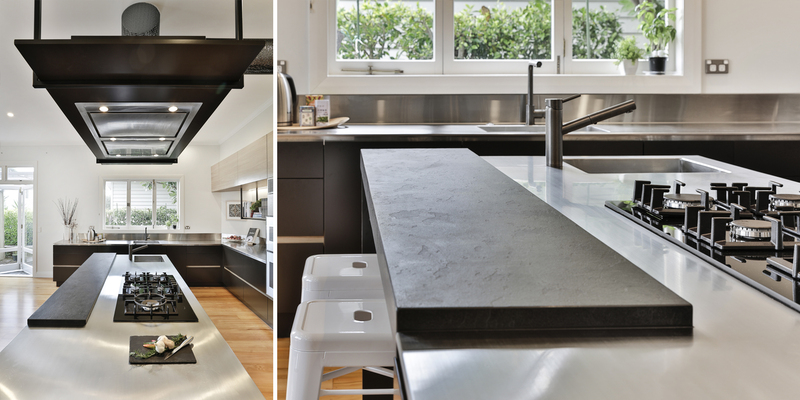 The only exception is a slab of textured slate that forms a raised serving bar on the front of the island. 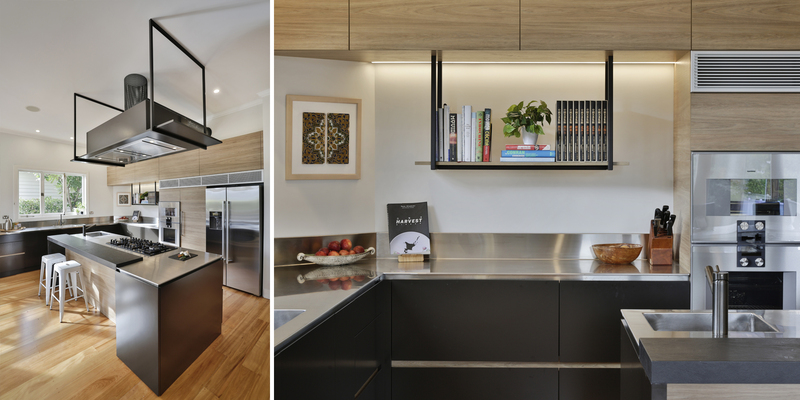 A custom-designed rangehood, with powder-coated mesh ducting, hangs over the island, providing a bold statement, and giving a soft industrial feel to the kitchen.